Company Fortuna Travel has been based in 1994. Our main principles are quality of services and its optimal cost. Many tourists have used our services during the existance of Fortuna Travel, majority of them has become our regular clients. 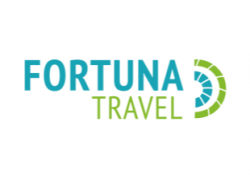 Fortuna Travel is Baltic States and Europe tour operator, and every year staff of the company broadens its routs geography, looks for unexplored places, forgotten historical objects and objects of nature. You can get great experience and have good rest not going far from home visiting Latvia, Lithuania, Estonia as well as Europe countries. The aim of our company is joyful, full of impressions and satisfied client.